Indian composers haven’t fully exploited the opportunity to write for the guitar. Any music-making operates within a context, and it is important to identify the specific context, leading to the visibly active presence of the Western classical guitar in India today. The “modern guitar”, as a general identifier for the well-known instrument with six strings, is possibly the most widespread instrument in the world today. Its influence started spreading outside Western Europe from the early 19th century and its spread is inextricably linked to colonial economic penetration and the Church. The guitar travelled to various parts of the globe and in several cases, became a part of the local musical culture, to the extent that it is now, difficult to imagine the music without it. Its popularity and acceptance stem from an optimal combination of portability and affordability, a very useful range of three-and-half octaves – that too chromatically playable, the possibility of voicing sophisticated harmony, and a wide range of tonal expressions – from delicate counterpoint to strong and percussive rhythm. In fact, it is not impossible to make a very rudimentary guitar and play, which is what the African-American musicians had to do in North America in the later part of the 19th century. In the Hispanic world, the guitar’s popularity has much to do with how the Spanish conquistadors came to utterly dominate these regions typically, almost completely, replacing indigenous cultures with their own. 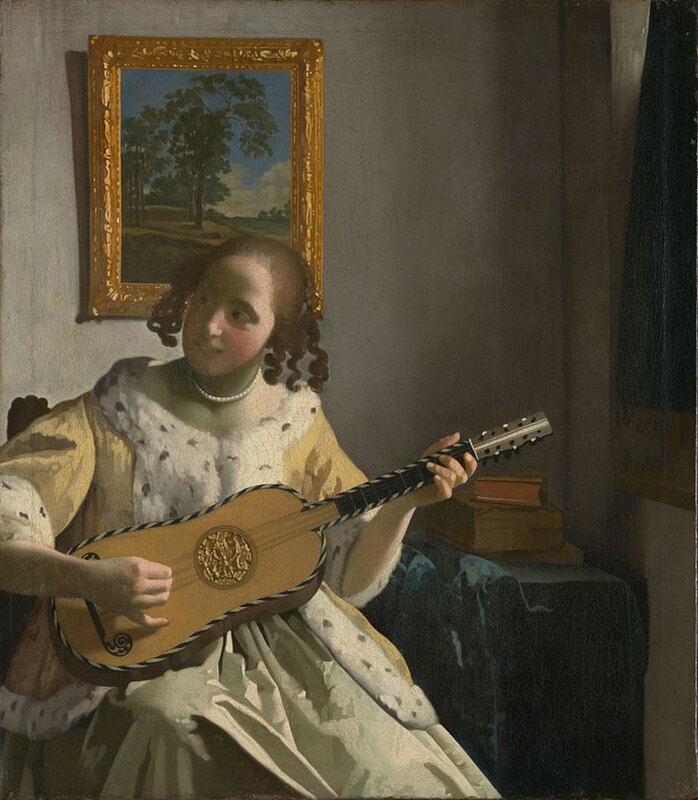 In the case of the British colonists, with their greater focus on economic rather than cultural hegemony, the guitar did not embed itself as strongly as it did in Hispanic spheres of influence. In India, there is an interesting and forgotten fragment of history regarding the classical gut-string guitar, which appeared in the musical circles in Madras around the 1840s. An East India Company employee and the collector of Madras, Josiah Hudleston, who was a guitarist and a composer and had connections with some of the guitar virtuosi in Europe at the time, is known to have been active in the Western music circles in Madras. At the time, there were small ensembles, concerts. The performers who were visiting from Europe performed in India. In general, the guitar and Western classical music did not integrate into either the folk or the classical music in India. 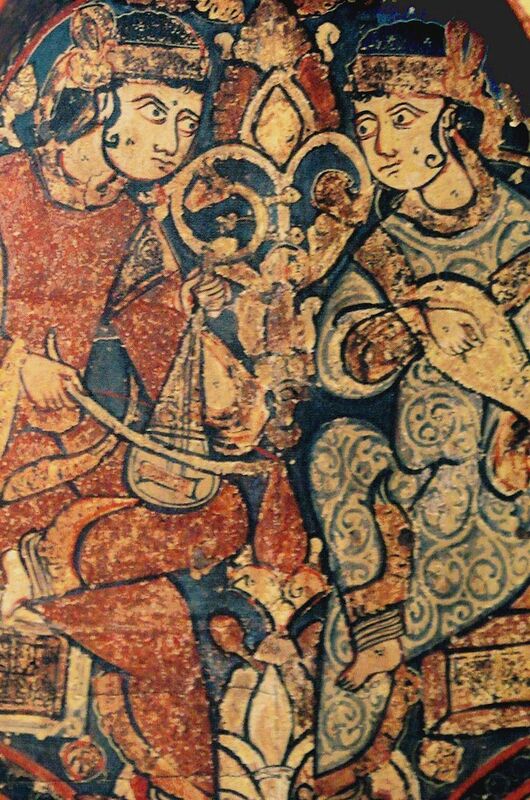 The guitar, with its equal-tempered scale and fixed frets, would not have adapted to Indian classical music – though the violin with its lack of frets found a strong presence in Carnatic and North Indian music. Interestingly, the harmonium, in contrast, was accepted in Indian music, despite its limitations. The development of the electric guitar in America, and its rapid acceptance in jazz, followed by popular music, also echoed quickly in India. After Independence, with the gradual availability of recorded music (as well as the influence of radio stations), most Indian cities acquired lively rock-n-roll scenes, with jazz being heard more commonly in the bigger metros. However, it was still a Western-oriented music, with English lyrics. Music with Indian tonality and treatment had a minority following. North East India is a special case in point. The steel string guitar has made deep inroads into the region – possibly because strong church activity drove a Western sensibility into local musical cultures. Similarly, Goa too proved to be a fertile ground for the guitar. The steel string acoustic guitar and the electric guitar have since then become mainstream Indian instruments in popular settings and have also occasionally been incorporated in Indian classical music, ghazals and other so-called “light music” forms in India. The history of the Western classical guitar in the Indian sub-continent seems to be largely undocumented. International performers, both in the classical and jazz arenas, have performed in post-independence India. The renowned classical guitarist Julian Bream appeared in concert at the Poona Music Society concert hall, and there are memories of such instances elsewhere in urban centres. But barring a few exceptional examples such as Hudleston, or WH Bird, who in his work Oriental Miscellany: Airs of Hindoostan (1789), transcribed some Indian airs for the harpsichord and the guitar, the classical guitar has not been very visible in Western classical circles in India, till relatively recently. Apart from occasional concerts by visiting international classical guitarists, there was not much organised activity. While schools run by Christian missions in India have featured Western music education since the late 1800s, demonstrated by their early adoption of the Trinity College London examination systems, the focus instruments have been only the piano and the violin in most cases. Indeed, it took Andrés Segovia to make the classical guitar an equal instrument in Western concert halls, which happened much later. In the India of the 1970s, the classical guitar was spoken of as a mysterious entity, even by accomplished jazz players. It was nearly impossible to acquire a genuine luthier-built instrument. Imported nylon strings were practically mythical, and their Indian counterparts sounded inconsistent and typically lasted about a week. Sheet music could be acquired if you knew someone who had a couple of scores, and were prepared to copy it out by hand (photocopying became ubiquitous only later in the 1980s). Things began to change, quite noticeably, in the post-liberalisation period with growing access to recorded music and instruments. Later, the expansion of the internet made it possible to access a much greater degree of information and written music. Today, there is an unprecedented number of classical guitar players, students and teachers in India. From the beginning of the 21st century, there has been a strong consolidation of this interest, and classical guitar players across India are coming together via the medium of guitar competitions, festivals, workshops and the internet. The Indian Guitar Federation has been one of the major influences in enabling this growth. The Pune Guitar Society, founded in March 2015, is a consequence of the ongoing interest in the Western classical guitar, which accelerated in the 1990s. 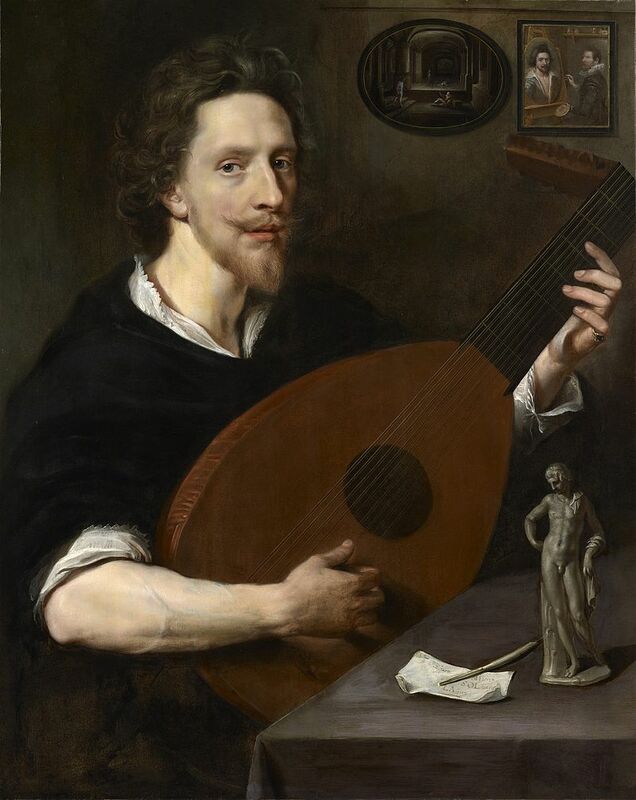 As access to information and music grew, since the mid-1990s, it became apparent that the guitar as a Western classical instrument has come into its own in the 20th century. Although the instrument has been present in chamber music settings or as a solo instrument for at least 400 years, in its varied avatars, not many composers wrote for the instrument which resulted in the repertoire being very sparse when compared to more traditional Western instruments. 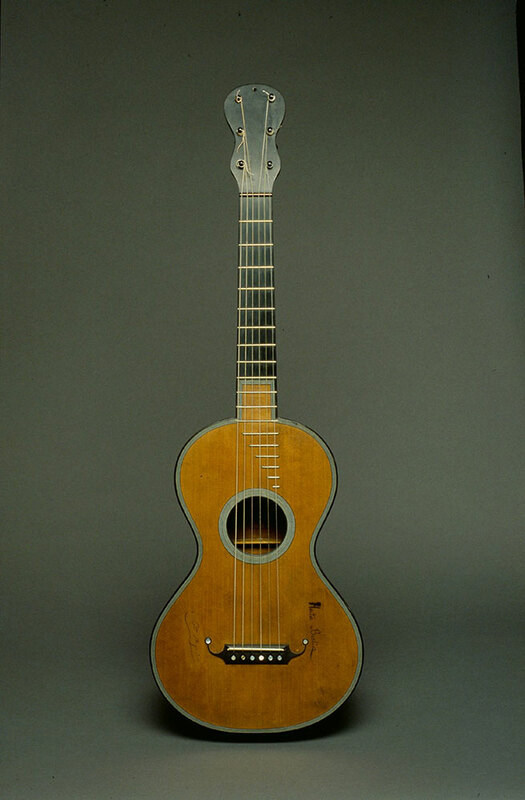 The 19th century saw great improvements both in terms of guitar-making and construction as well as repertoire, followed by the considerable influence of Andrés Segovia on repertoire and performance, and the large-scale change from gut to nylon strings after World War II. The last three decades have seen a maturing of the repertoire with several composers exploiting the expressive palette that the modern classical guitar can demonstrate. One of the aims of the Pune Guitar Society is to help bring this music to general audiences. The guitar throughout its history has been a folk instrument and a niche “art music” instrument. Throughout the history of Western classical music, there has been a constant interchange of influences between art music and folk music. Guitar repertoire is replete with folk-inspired music, due to this interchange. Classical guitar repertoire was dominated by Spanish and Italian influenced music for a long time, as the instrument was a key constituent of folk music in these region. Most important guitar composers in the 19th century and early 20th century were Spanish or Italian. Post-World War II, as the guitar started getting acceptance as a serious concert instrument, there was an acute realisation that the repertoire needs to expand, both in terms of the depth of the music, as well as the cultural geography. Segovia, Bream and other concert greats at the time approached many mainstream orchestral composers to write for the instrument. This movement has proliferated subsequently, and post-1950s classical guitar repertoire has expanded far beyond its traditional Ibero-Italian cultural roots. Even though these composers work within some sense of the Western classical idiom, their own musical culture and sensibilities reflect in their music. During our discussions at the Pune Guitar Society meetings, a point that comes up repeatedly is the available and largely unexploited opportunity for Indian composers to write seriously for the guitar. Indian folk music, with all its richness and flavours, has a vast musical legacy, waiting to be transformed into compositional ideas, motifs and other elements. The other tradition of Indian classical music is another such ocean of possibilities. However, this would need to move beyond the somewhat notion of fusion music, prevalent since the 1960s. A greater abstraction of transferred ideas is required, and the space is wide open for any composer to explore. Improvisation in music is well known to people who listen to Indian classical music, and it is an integral part in its performance. In the Western tradition, jazz embodies improvisation. Jazz has a history in India, which dates back to the early 20th century. World renowned jazz performers have performed in India, especially in Bombay, Calcutta and Goa. The guitar remained in the background as an accompanying instrument in jazz till the 1940s, when it went electric. Guitarists could now play solos which could be heard above the other instruments and over the din of their typical nightclub settings. In retrospect, the electric guitar and the nylon-string classical guitar in the post-World War II era, are key innovations that took guitar music into a completely new territory. Mainstream Western classical composers, too, have been influenced by jazz, since its popularity increased in the early 1900s, with the use of jazz influenced harmony and rhythms in their compositions. 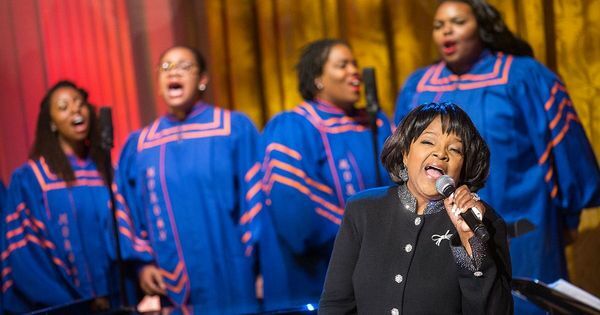 Going forward, it is important for performers, composers and audiences to acquire a broader understanding of these cross-influences and synergies. Even though the classical guitar went through some revolutionary changes in its construction around World War II and started attracting an audience as a solo instrument, its role in the larger Western classical ensembles and orchestras had been almost non-existent. On one side, there was a dearth of repertoire for guitar and orchestra and on the other hand, the guitar could not be heard on par with the other instruments. This is not to say that there are no works for guitar and orchestra/ensembles before amplification. We have some great works by Boccherini, Vivaldi, Giuliani etc, some of which were for lute and orchestra. But compared to larger orchestral works written for other instruments, the quantum of works has been small. 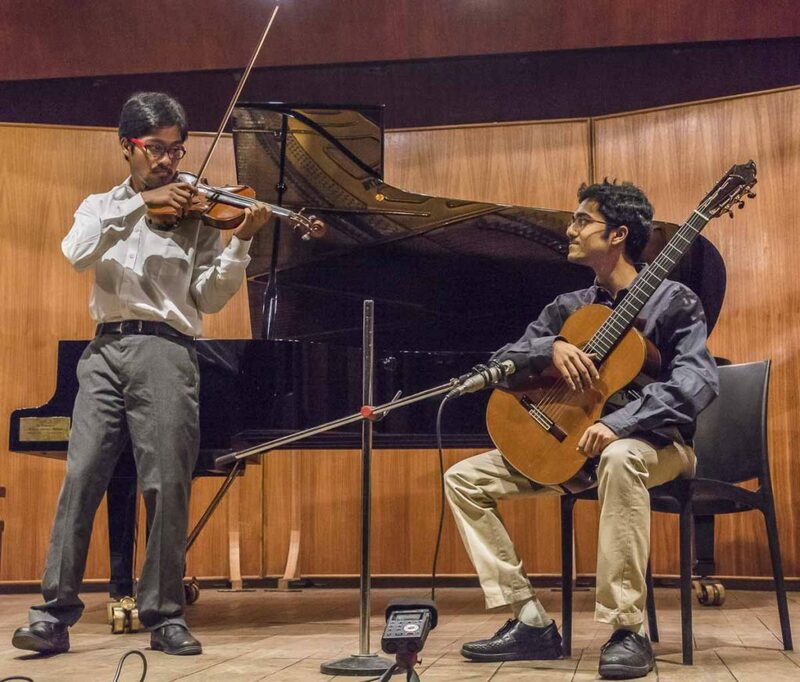 We are now creating opportunities for combined performances, featuring the guitar and other instruments such as the piano and violin, as these are well-represented in Pune. Based on an idea proposed by piano player and teacher Tuhin Rao, we presented a concert of Spanish and Latin American music, which featured solo guitar and solo piano music, and a guitar/violin duet. We are planning more expansive concerts this year, which will have guitar/piano reductions of modern guitar concerti and will also bring new repertoire to audiences. 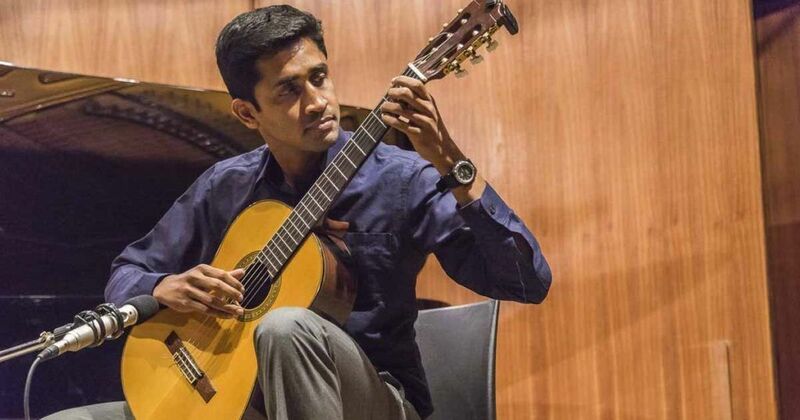 It appears, that an effective way to bring the Western classical guitar into the Indian mainstream, is to build such collaborations with other instruments – an idea which has been, so far, well-received by Pune audiences. Based in Pune, Jayant S is a founding member of Pune Guitar Society. He has co-authored this piece with valuable information and editorial inputs.